It’s wedding bell blues and disaster when murder comes to the Paulmona Winery and Villa. Mystery author and part time snoop, Lilly Millenovanovich is the unlucky bride-to-be, but she gladly exchanges her wedding dress for gumshoes and brushes off her bag of spy tricks to solve the crime. After all, family obligation takes priority. Lilly and her zany trio of elderly aunties, must do their part to prove Cousin Mona didn’t kill groomsman Lenny Brioli with a corkscrew wine opener. Trouble is, the evidence keeps pointing in one direction with Mona as murder suspect number one. Detective Grezzo has his sleuthing hands full while handling the case on his own. Jake Kline, Lilly’s fiancé, obviously can’t work the case since Lenny is his best friend. That is, until Lilly convinces him to join her and snoop on the sly. Mona’s life and happiness depends on it. Will it be happily never after for the unlucky couple? Or can Lilly save the date and her wedding dress for another day? 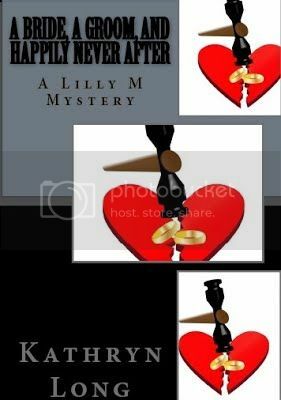 It’s a murderous and crazy adventure in this fourth and final episode of the Lilly M Mysteries. Kathryn Long’s passion is writing mysteries, creating the intricate details and weaving them together into the clues which the reader will enjoy collecting to solve the crime. Many of her works include Native American elements and hints of the paranormal. She loves a scary ghost story! Her writing inspiration began with reading about Nancy Drew and the heroines of romantic suspense authors such as Victoria Holt and Mary Stewart. Her first creations were short stories meant to entertain anyone who’d listen or read. Playing the guitar led to song lyrics, which she insists taught her the rhythm and pace of writing prose. Writing took a serious turn several years ago when she had her first book published. 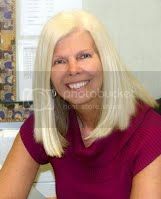 To date readers can find her self-published cozy Lilly M Mysteries, and her traditionally published work: paranormal mystery, Dying to Dream, and latest, a romantic suspense, A Deadly Deed Grows at online retailers and in bookstores. When writing and the creative muse take a break, this author loves to travel, watch Castle, and of course, read mysteries. Oh, and there’s always an author event or two she will attend in order to – you got it – talk about mystery. Kathryn lives in the City of Green located in northeast Ohio with her husband and little pooch, Max.